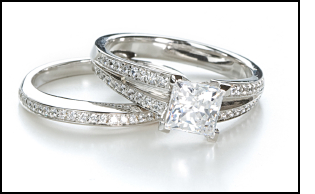 Buy with Confidence.Experienced and well trained staff at Catalina Pawn authenticates the precious metal and diamonds with every piece that comes in our store.Our authentication process includes a thorough visual inspection using a jeweler’s loupe, weighing the item, sizing any diamonds (carat weight) and noting the cut,color and clarity of each. Every piece of jewelry we sell is tested using a special acid that determines the karat of the gold. These tests confirm the quality, authenticity and value of the jewelry you are buying. Selection changes daily so stop in often. All of our items can be packaged in a beautiful jewelry gift box. No one will tell the difference between a piece of jewelry from our store or an overpriced big box jewelry store.